Crealys® hosts more than 115 innovative companies (1.818 employees) including international major players : GlaxoSmithKline Biologicals, OCE Software Laboratories, Vinçotte, Corilus, SGS, BDO, Elia, … These companies found on the science parks the performing facilities to develop their projects and a brand as their notoriety. 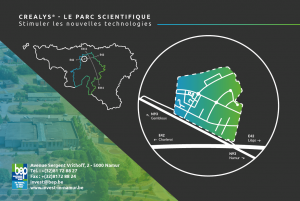 Technological starters and spin-offs choose as well Crealys® science park. The animation on the park is lead by the BEP and the company club Idealys. They created for example the Mobi-parks. Moreover the welcome center @trium offers a full range of services for the companies hosted. Crealys® science park certified ISO14001 is the head office for welcoming ASEAN investors for AWEX. In addition of its 110 hectares of equipped facilities, the BEP offer to young companies some offices, laboratories, workshops, … through the seven incubators/business centres. 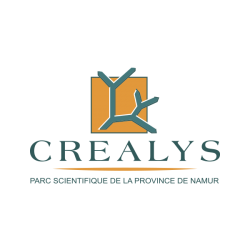 Crealys® science park has as well a business centre with keys on the door.